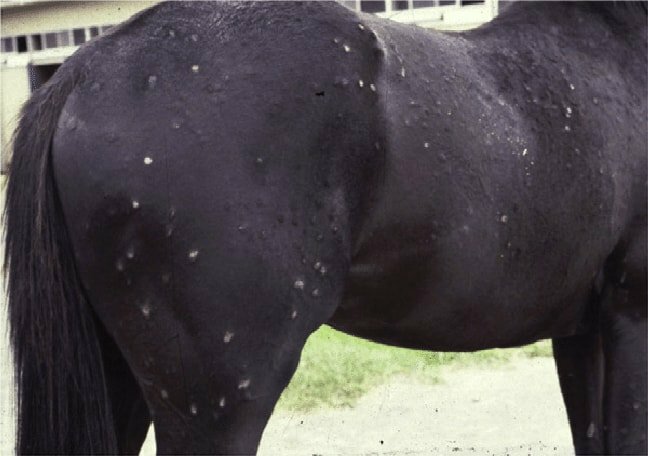 Ringworm in Horse is a common skin disease caused by the fungi of the genus Trichophyton or Microsporum species. Most infection is seen in young horses in the humid months of the year. 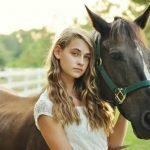 Spread between horses is by close physical contact, contaminated bridles, girth straps, saddle blankets, brushes, and riding boots. Once infected, horses seem to develop some immunity against reinfection. Subsequent infections are less severe and regress more rapidly than primary lesions. 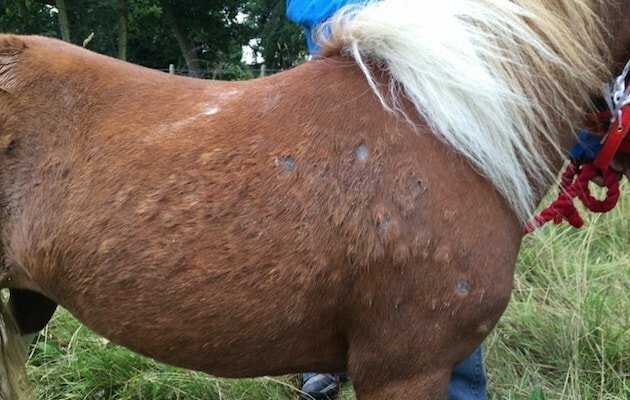 Ringworm is a common condition in the Horse Family. The Ringworm fungus causes loss of hair in circular areas that progressively get larger. Single area of hair loss, usually up to 3 centimeters across, can join together to produce large areas. Most areas are scaly and dry but can be moist if the hair was matted together with the secondary bacterial infection. The city may be itchy in the early stages. 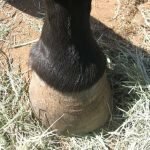 The most common sites are the girth and head, but the disease can occur in most parts of the body. Hair will begin to regrow at variable intervals depending on the species of fungus causing the problem. Most ringworm will start to resolve itself within 40 days. 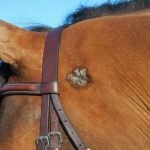 Ringworm in the horse can be visible in any part of the body. 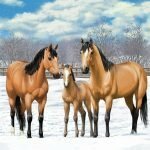 The low immunity horses can be at risk condition which should be attacking the ringworm infection. Ringworm is a contagious disease. It is spread rapidly, but the horse does not die from ringworm. The animal skin is rubbed and becoming damp. The organism is spread by direct contact. A specific ringworm cream (e.g., Fungizone). 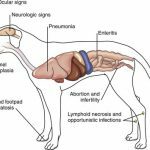 It would help if you had to stop the ringworm spreading to other animals by thoroughly washing contaminated harness, grooming gear and rugs with one of the compounds listed above. Treatment of equipment is essential in controlling the spread of ringworm. 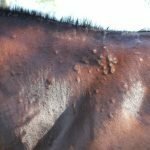 Controlling the Ringworm in horses is essential. 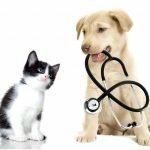 In this article, I have discussed the causal agent, transmission, symptoms of ringworm infection, treatment, prevention and control which is necessary and you have help to know the disease information. 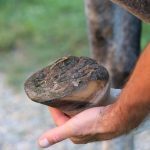 It is a fungal skin infection in horses which can spread rapidly. So it should be controlled carefully. 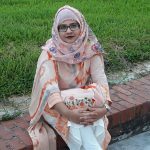 I am a Veterinary postgraduate from a reputed Agricultural University of Bangladesh. I am also experienced with thesis writings, book review, content writings, and research paper optimization. 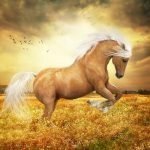 I want to share my knowledge with the user through the internet.